FULL D&D 5TH EDITION RELEASE SCHEDULE & COMPILED INFO PAGE! The rumours were right! The D&D Starter Set (for D&D Next/5th Edition) has hit Amazon. And it has a name: Fantasy Roleplaying Fundamentals. As expected, it's $19.99, and will be available on July 15th. But that's not all! Here's the rest of the 5E release schedule! 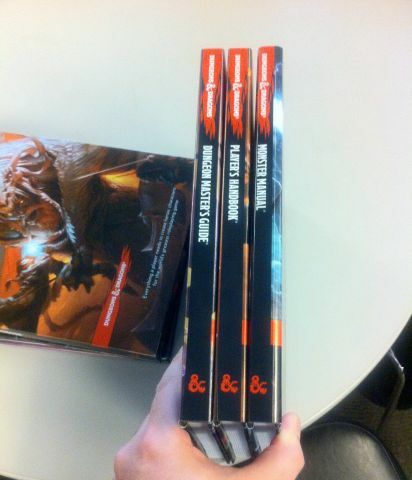 Three core rulebooks, and two adventures - designed by Kobold Press! That last bit is an interesting (they kept that quiet!) and, frankly, excellent bit of news, in my opinion. Kobold Press, headed up by Wolfgang Baur (who, if you don't know him, you might remember for his work on DRAGON and DUNGEON magazines back in the day) has won plenty of awards and produced really top-notch gaming products for a variety of games, including Pathfinder and 13th Age (here's a recent EN World review of their work). Why the staggered release? Mike Mearls says "PH/MM/DMG releases were split because stacking them causes big quality issues, a la the 4e errata. Too much work at once." Liz Schuh (head of publishing/licensing) told ICv2 it was because "This will give retailers something new each month and allows players time to enjoy each release separately. Retailers will likely remember the staggered release of third edition and the traffic that kept coming into stores, month after month." Mike Mearls also adds "You will not need the MM or DMG to run a campaign. Or the PH or Starter Set to make a character" and "You will be able to run a complete campaign starting in August, with the release of the PH." He also adds "To clear up the Starter Set - it's aimed at DMs, so no PC creation in the box. But players will be able to make characters without it. For a DM running the starter set, there will be pregens to hand out. Players who want to make characters will be able to do so." 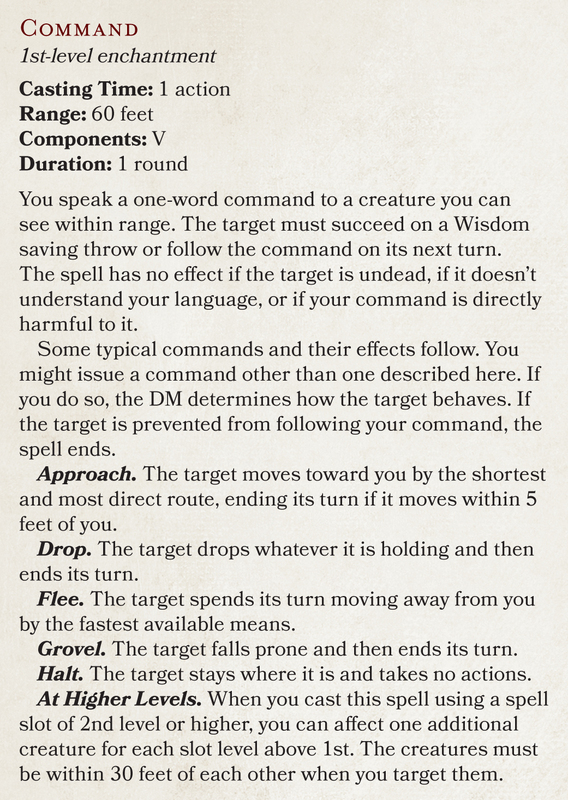 (See Basic D&D, below). On the difference from the final public playtest packet, Mike answered "Core rules are pretty similar. Mostly tweaks to monster HP (went up), added warlock and sorcerer, and balanced out classes." Other tidbits include the fact that the warforged race will be "Not in PH, but in DMG". On various specific elements of the rules: "Henchmen will be there, summoning spells in PH", magic systems: "traditional D&D in PH, optional point-based system in DMG. ", and tactical combat: "More in-depth combat will be in the DMG." When asked, WotC confirmed that "The PHB will be available at Gen Con this August." (thanks to @newbieDM for thinking to ask on the Twitters); he continued to note that there will be "no pre-orders for GenCon, but I believe that if your FLGS gets early D&D releases you can buy there before the show". Translations? Mike says "A number of people have asked - no plans to announce for translations yet. Sorry - we'll update when we have something to share." I now have a page full of the new D&D logos on black, white, and transparent backgrounds. Things to note: a brand new D&D logo; plus the game is clearly only referred to as Dungeons & Dragons. As rumoured, there's no "5th Edition", "Next" or anything else in the title. Liz Schuh said "This new iteration of the game, which represents the fifth edition of the rules, will allow players of all play styles to reunite around the game table, and we will simply refer to it as the Dungeons & Dragons (or D&D) TRPG. Where more specific detail is required, we will direct players to the appropriate fifth edition product." So it's simply D&D, but "5th Edition" when specificity is required. Then again, they say that, but what's this on the back cover? There's a closer look at the logo below - as you can see, it has the old classic dragon-breathing ampersand in it. It's no longer possible to get hold of the playtest packet itself, but some of the adventures WotC has released recently can be obtained from D&D Classics as PDFs and contain versions of the playtest rules. Note that none of the below options will give you the very latest copy of the rules, but they will give you a look at later iterations of the playtest packets. Most notably, Ghosts of Dragonspear Castle contains four adventures. It's described as a "mini-campaign" and uses one of the nearly-last playtest packets. It was released exclusively at Gen Con last year, and is now available non-exclusively on D&D Classics. The adventures take characters from 1st to 10th level, and include a verison of the D&D 5E game rules, along with stats, spells, magic items, etc. You can grab it for the princely sum of $17.99. Vault of the Dracolich was released a year ago, but includes an interim rules supplement from December which amounts to over 200 pages. It's a great look at one of the later versions of the playtest rules. Scourge of the Sword Coast is part of WotC's Encounters program, and was released in February as a PDF. It starts at 2nd level, and continues in Dead in Thay (see below). This was the first D&D Encounters adventure to officially support D&D 5E games. It's linked into WotC's "The Sundering" meta-plot. Dead in Thay follows up on Scourge of the Sword Coast. It is designed for multiple simultaneous groups of players. It's a dungeon-crawl style adventure and is described as a tribute to killer dungeons of the past like Tomb of Horrors. Ideal for a group of 4 – 6, the Dungeons & Dragons Starter Set includes a 64-page adventure book with everything the Dungeon Master needs to get started, a 32-page rulebook for playing characters level 1 – 5, 5 pregenerated characters, each with a character sheet and supporting reference material, and 6 dice. The 64-page adventure is written by Rich Baker and takes characters from levels 1-5, and is "the perfect launching point for an entire campaign". The adventure is caled Lost Mine of Phandelver. "The first segment of the adventure puts DMs through the basics of asking for checks and saving throws, as the characters venture into a goblin lair on a rescue mission. Once the adventurers have dealt with the goblins, they have free reign to explore the region around the village of Phandalin. Three more dungeons and five other adventure locations provide novice DMs with plenty of material to keep a campaign going for months. With Basic D&D as a natural next step, DMs will have the tools they need to further expand the region and keep the action going." It is "inspired by" module B10: Night's Dark Terror. See table of contents, first page, equipment excerpt, weapons, spells, fighter character sheet, map & adventure contents, back cover, Phandelver magic items, cleric character sheet, command spell, town map, art piece. Check out the Starter Set Preview-ometer! Mike Mearls says about the 5th Edition Starter Set adventure: "We'll be rolling out previews of the adventure next month. It is FR, but easy to adapt." The Starter Set is a physical product that contains a 64-page adventure, the core rules of the game in a 32-page book, five pregenerated characters, and a set of six blue dice (with white numbers). It’s intended to be something you can open and start playing with very quickly, providing five levels’ worth of adventure content. This is a great place for people who have never played D&D to begin, because it lets them start having adventures right away using the pregenerated characters. The pregenerated characters are: a dwarven cleric, two human fighters (armored axeman, and an archer), an elven wizard, and a halfling rogue. See the live Q&A about the Starter Set and Basic Game. Watch the Starter Set unboxing video. Basic D&D is a free PDF. Anyone can download it from WotC's website. I've been a bit remiss in communicating this. Mike Mearls has said multiple times over the last few weeks that Basic D&D will debut on July 3rd (at the same time Wizards Play Network store get the Starter Set). A whole bunch more will be added to it on August 19th, when the Player's Handbook is released. It will then continue to be updated as the rest of the release schedule rolls out. 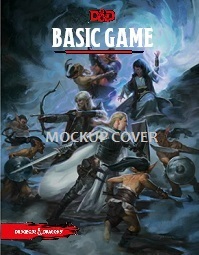 WotC's Mike Mearls reports on the free Basic Game PDF which will be released on Thursday: "Just reviewed the Basic D&D PDF - it clocks in at over 100 pages. Combat, exploration, etc., all in there." He later clarified "character creation + core rules. DM material in August." "If Basic D&D is the equivalent of the classic Rules Cyclopedia, then the three core rulebooks are analogous to Advanced Dungeons & Dragons. Want more character options? Pick up a Player’s Handbook. Looking for more critters for your campaign? The Monster Manual has you covered. Want to sculpt a unique campaign? Pick up the Dungeon Master’s Guide. Still, Basic D&D is the true heart of the game and could easily provide a lifetime of gaming." 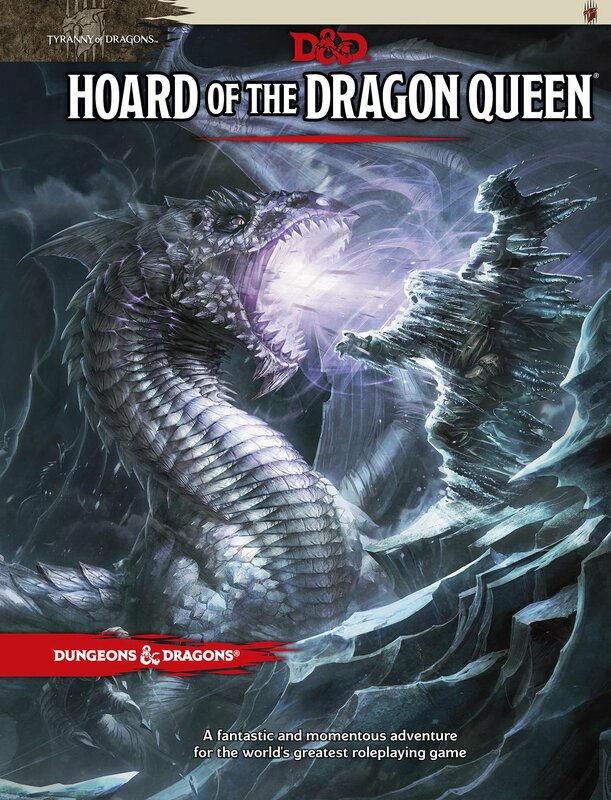 As WotC introduces new storylines like Tyranny of Dragons, they'll also make available free PDFs that provide all the rules and stats missing from Basic D&D needed to run the adventures tied into the story. The adventures released as part of Tyranny of Dragons are playable without requiring any of the core rulebooks or the Starter Set. With just the Basic Dungeons & Dragons rules, you can play D&D for years. Basic Dungeons & Dragons is going to be a downloadable file that contains the core rules of the game, along with character creation rules and, eventually, monsters, magic items, and guidelines DMs need to make adventures. That will allow you to build characters, plan adventures, and play all the way up through 20th level. Basic D&D provides a traditional D&D experience that will allow you to play any adventure—including those in the Starter Set—using only this file. Basic D&D is a great place to start if you’re already familiar with D&D from previous editions and want to try out the fifth edition of the game, or if you want to play through the Starter Set (or other adventures) using characters that you’ve made yourself. "Our goal is to make Basic D&D contain everything you need to play, or run, the major campaigns we launch, such as Tyranny of Dragons. That means that any game material referenced in those adventures will typically either be in Basic D&D, or in the adventure itself." Use this book to create exciting characters from among the most iconic D&D® races and classes. The PHB will be available at Gen Con this August. It was also be available 11 days earlier at WPN stores. See back cover, dwarf, and tiefling. Check out my interview with Wolfgang and Steve here. BGG reports "New emphasis on villainous organizations in the 2014 D&D Monster Manual to match the number of monsters in it." Page count has been expanded by 32 pages to 352 pages; price remains the same. Level range: This one goes from levels 8 to 15. BGG reports "Sidebars in the new DMG help DMs to customize the game to match past editions of D&D." No further information on this one. We are excited to announce our newest licensee, Trapdoor Technologies. Trapdoor is working on an integrated toolset and rules knowledge base to support the new edition of Dungeons & Dragons. Combining rules, character sheets, and adventures together into a clean interface, Trapdoor's goal is to create tools for Dungeon Masters and players that will allow for fast and easy management of their game. Known for now as Codename: Morningstar, the tools will have a limited playtest at Origins Game Fair. To learn more about Codename: Morningstar, Trapdoor Technologies and how to participate in the upcoming beta, visit codenamemorningstar.com. For things I've found out about Trapdoor Technologies, check out this news article. All the latest D&D adventures and content will be available to download as they are released, simultaneously with the physical versions. The D&D Icons of the Realms Starter Set is the perfect supplement for your D&D tabletop roleplaying game. The 6-figure Starter Set represents some of the most iconic characters classes and races from the Dungeons & Dragons universe, including the dwarf cleric, human ranger, halfling rouge, northlands fighter, elf wizard, and the famous drow ranger, Drizzt Do’Urden. Combine these high quality miniatures with the 44 found within the D&D Icons of the Realms: Tyranny of Dragons booster packs to bring an exciting new depth to your D&D adventures. The D&D Adventurer's League is the new Organized Play program for D&D 5th Edition. Part of that offering will be a free Player's Guide in PDF format. More details on that when they appear! WotC's Gen Con 2014 schedule also includes a number of adventures, likely part of the Adventurer's League OP program. These will debut at Gen Con itself in August. Secrets of Sokol Keep -- Sokol Keep’s beacon has gone dark, and the garrison has disappeared. In Phlan, rumors circulate that something ancient was discovered in the grounds beneath the keep. Adventure awaits! Shadow on the Moonsea -- The wild Moonsea faces a new scourge prowling the waters: A ghost ship has been striking coastal villages, leaving its victims whispering about the “eye of the dracolich.” Learn the truth behind this threat! Defiance in Phlan -- The Cult of the Dragon has come to Phlan, a refuge town on the Moonsea. Participate in any one of five different missions aimed at stopping the cult from securing a foothold in the city. Corruption in Kryptgarden -- The Cult of the Dragon has established a stronghold deep in Kryptgarden Forest, and the factions want to know their dark purpose. Join hundreds of others in this interactive play experience! Thanks to Brent who spotted some details about some upcoming D&D Next products: "Alliance Distribution has preorders for D&D Next products from Gale Force 9. Tyranny of Dragons DM Screen. Also class token sets and arcane and divine spell cards. No release date or description information. Also noticed Tyranny of Dragons Castle Siege Vinyl mat and ToD branded minis, also from Gale Force Nine." It says it address a common question about the Open Gaming License. It refers only to D&D fans, not to third-party publishers. It focuses repeatedly on quality control of fan-created material. There will be an announcement in Fall. A "program" will launch in early 2015. WotC's PR agency has sent along these higher-res images. Pretty! Here are some slightly larger versions of the covers. Should make it easier to see the art! The art appears to be by Tyler Jacobson. King Snurre smiting some unfortunate heroes on the cover of the Player's Handbook. Maybe you had forgotten that a Beholder is big enough to eat someone in a single bite. As one of the scariest monsters ever, the beholder is a perfect fit for the cover of the Monster Manual. The terrible lich Acererak raises some undead minions on the cover of the Dungeon Master's Guide. Check out his amulet for a bit of a nod to his original appearance. Tiamat has never looked so terrifying as she claws her way out of the Nine Hells. This white dragon freezes everything in it's path. With that breath weapon and the detail of the ice, you can almost feel the frost in the air. This information was taken up by some of the mainstream media. I've listed some of the bigger ones here. Also Charles Akins over at Dyvers.com (one of my favourite blogs) posted a good summary. WotC's Mike Mearls has been interviewed on Bleeding Cool and discusses broadly his career and what he likes about D&D 5th Edition. Bleeding Cool interviews Kobold Press. The Escapist interviews Mike Mearls about the PHB. Here's just some of the other coverage here on EN World of D&D Next (not counting daily updates on Legends & Lore articles, Q&As, playtest package updates, and the like, all of which there are hundreds). Kobold Press on TYRANNY OF DRAGONS, Their Contribution to D&D 5TH EDITION!